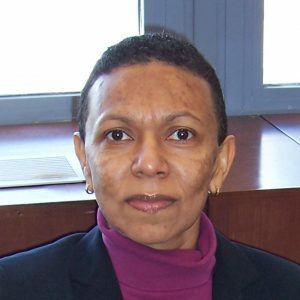 Smoking, not getting enough exercise, and being obese can reduce an individual’s life expectancy by 14.2 years, according to a new article published in the Annals of Epidemiology by Dr. Luisa N. Borrell, chair of Lehman College’s Department of Health Sciences. 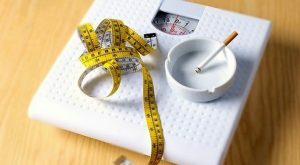 While most people already know that smoking kills, that physical inactivity leads to obesity and that obesity, with its life-threatening consequences, is on the rise, the real revelation in the study are the numbers that quantify just how many years a person loses when they engage in any or all three behaviors. According to the Centers for Disease Control and Prevention, these behaviors are common among U.S. adults: one in five smoke; one in three is obese; and one in two does not meet the physical activity guidelines. When it comes to smoking, 18.1% of American adults are current smokers. Cigarette smoking is the leading cause of preventable death in the U.S., accounting for more than 480,000 deaths, or one of every five deaths each year. As for physical inactivity, 47.1 percent of adults 18 and older to not meet neither aerobic activity nor muscle strengthening guidelines. “In the U.S., we’ve done a good job of reducing the smoking rate through education and other means, but we haven’t paid enough attention to physical inactivity and obesity and their health ramifications in the past. It’s time that we broaden our approach,” says Dr. Borrell. For her study, Dr. Borrell used data from the Third National Health and Nutrition Examination Survey. Participants answered questions about their smoking habits and physical activity levels and had their weight and height measured. Dr. Borrell used the information to calculate the rate advancement period (RAP) for cardiovascular disease (CVD)-specific mortality and all cause mortality due to smoking and physical inactivity. What she found more than confirmed her suspicions: Current smokers can expect to lose up 7.9 years of life if they die from any cause and 5.1 years from a CVD-specific illness. If you get little to no exercise, you can expect to shave 2.2 (all cause) to 2.4 (CVD-specific) years. And those who smoke, are obese, and don’t exercise lose 14.2 (all cause) to 12.2 (CVD-specific) years. Whether you are categorized as obese or overweight makes a difference, too: If you’re merely overweight, you lose 7.9 years instead of 14.2 for obese (all cause) and 8.9 years instead of 12.2 (CVD-specific) years. “Going forward, we need to develop programs that prevent and monitor these health risk factors, especially in the adolescents and young adults, as singly or together they are associated with most chronic diseases in the U.S. population,” says Dr. Borrell. For more information, or to read the abstract, visit Annals of Epidemiology.com.